Raine Watson. I know, I know. Raine is kind of a weird name. And, believe me, I was pretty sick of it by the time I finished the last revision. But the name does have a bit of history. Thirteen years before the book opens, this character was born in the middle of a storm in the back seat of a car. And that's how her free-spirited mom came up with the name Raine. Hey, I could've gone with Pontiac! Modern day in a made-up town named Yielding in upper New York state. The geography is similar enough to where I grew up (Ontario, Canada) that it felt like a little trip home to the Muskoka area. 4. What should we know about her? Besides an interesting name, Raine has an interesting gift. She can pick up other people's memories from objects. I actually think I wouldn't mind having this gift myself. Especially when I sense there's more to the story than one of my children is admitting! 5. What is the main conflict? What messes up her life? So, Raine and her mom move to Yielding and a rented house in time for Raine to start 8th grade. Turns out a girl, Emily H., who used to live in the same house . . . disappeared about six months earlier. 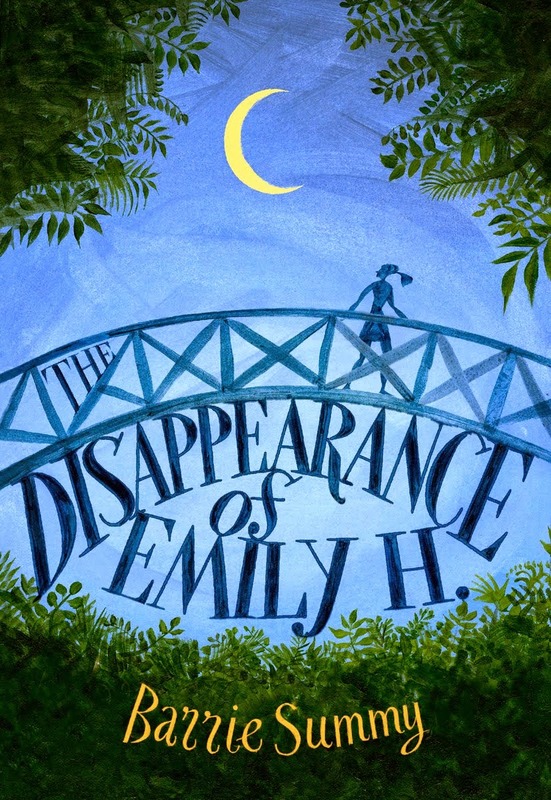 The police never found Emily. They never even found one solid clue. Raine starts picking up memories of Emily H. Can Raine figure out what happened? Throw in the person or persons who don't want the truth to surface, a new school, lying mean girls, a certain boy and, yeah, there's a bunch of conflict. TUESDAY, MAY 12, 2015! I sweated bullets over this book. In fact, there was a point when I wondered if I'd ever get it right. I suspect my editor had the same worry. TUESDAY, MAY 12, 2015. Whew. I will be dancing all over San Diego. Alli Sinclair combines her passion for exotic destinations, the quirks of human nature and the belief that everyone can dance, even if it's to their own beat. Luna Tango is the first in The Dance Card Series, published by Harlequin MIRA. Flamenco and the Russian Ballet will be released in 2015 and 2016 respectively. Maureen McGowan is the Amazon bestselling author of the action-packed YA sci-fi thriller series The Dust Chronicles: Deviants (2012), Compliance (2013), and Glory (2014). Misty Simon loves a good story and decided one day that she would try her hand at it. Eventually she got it right. There’s nothing better in the world than making someone laugh, and she hopes everyone at least snickers in the right places when reading her books. She lives with her husband, daughter and three insane dogs in Central Pennsylvania where she is hard at work on her next novel or three. After a fifteen-year stint as an electrical engineer, P. J. 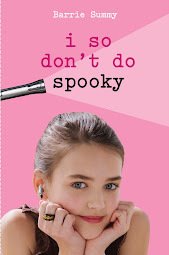 (Tricia) Hoover started writing books for kids and teens. Her middle grade novel, Tut: The Story of My Immortal Life was released this month by Starscape/Macmillan and tells the story of a young immortal King Tut, who's been stuck in middle school for over 3,000 years. Her first novel for teens, Solstice was published in 2013 by Tor Teen/Macmillan. Labels: Alli Sinclair, Alyssa Goodnight, Maureen McGowan, Misty Simon, pj hoover, Raine Watson, The Disappearance of Emily H.
Summer is over. And September is here. Trivia you may not have known about September: Neptune was discovered on Sept. 23, 1846. The first comic strip was published in a US paper on Sept. 11, 1875. The First Continental Congress began Sept. 5, 1874. * AND our first-Wednesday-of-the-month online book review club has returned from its summer hiatus. Welcome! Weirdly, this month is heavy on reviews of adult fiction. Who knew? Kathy Aarons is the pen name for my very talented critique partner, Kathy Krevat. Our critique group, Denny's Chicks, has been together several years (8?? ), during which time we've managed to remain youthful and beautiful. (cough, cough). Here's a link to Kathy's first post on this blog. Something incredibly special happens when a critique partner publishes, especially when she publishes her very entertaining debut cozy mystery. The critique group puffs up with pride. We remember when this book was just a teeny, tiny germ of an idea. We reminisce over all the changes in the various revisions. We laugh about who disagreed with whom over what. We even tear up. DEATH IS LIKE A BOX OF CHOCOLATES in a nutshell: Two best friends, Michelle and Erica, own a chocolate shop + bookstore (Chocolates and Chapters) in fictional West Riverdale, Maryland. The town photographer is murdered in their store, poisoned by one of Michelle's truffles. The women must work together to clear Michelle's name. What I loved: 1. the humor: In real life, Kathy is laugh-your-head-off funny. It totally translates to the page. 2. the twists and turns: I can't tell you what they are; that would ruin it! Let's just say, Kathy thinks outside the box. Waaay outside. Sometimes it's scary. 3. the details: Kathy did a bunch of research to make sure she got the facts straight. For example, she actually went to Maryland. She interviewed the police there. And she spent an inordinate amount of time at Dallmann Fine Chocolates. 4. It's the first book in a series: And I already know EVERYTHING about book #2. Ha! I'm not the only one who recommends this book. Mysterious Galaxy, a wonderful local indie bookstore, chose DEATH IS LIKE A BOX OF CHOCOLATES for their Fabulous Firsts book club, saying, "This fast-paced, entertaining read demonstrates all sides of small town life, and introduces a cast of characters with complicated, messy, interwoven lives. I found every page compulsively readable and couldn't put it down until the final stunning conclusion." You want to meet Kathy in real life? You're in luck if you live anywhere near San Diego! 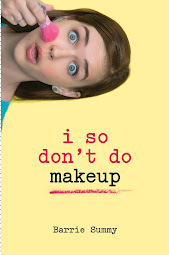 She's got a signing at Mysterious Galaxy at 4pm on Saturday, September 6. Yes, there will be chocolates.